This survey shows a forecast of the distribution of electoral votes in the 2012 presidential election, if Mitt Romney and Barack Obama will battle each other for the White House. 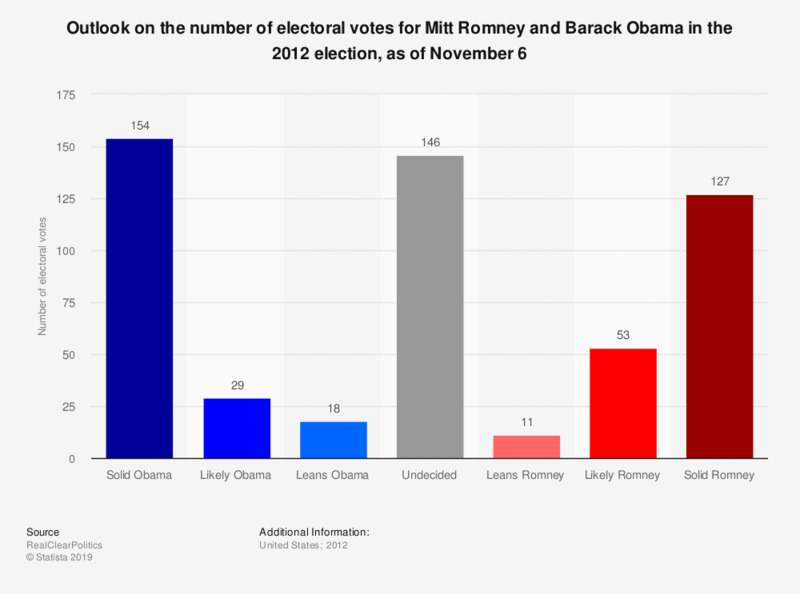 As of November 6, Barack Obama would receive 201 electoral votes, while Romney would get 191. 270 electoral votes are needed to win the election. The remaining 146 electoral votes are situated in the so called swing states, states in which no single candidate or party has overwhelming support in securing that state's electoral college votes. Do you approve or disapprove of the way President Barack Obama is dealing with global economic problems?